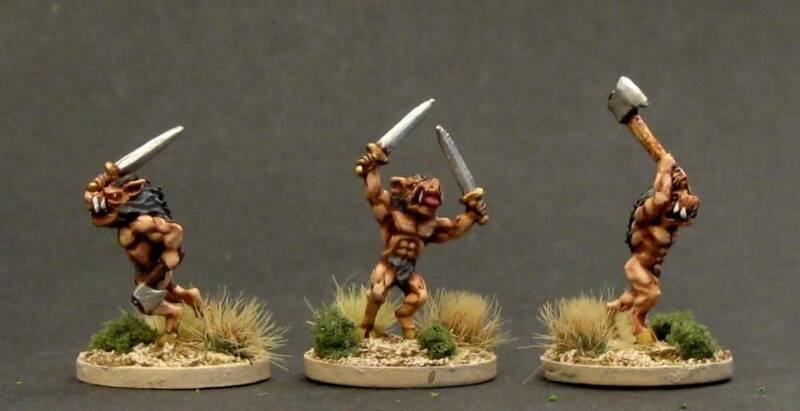 Khurasan Miniatures präsentieren ihre 15mm-Beastmen Releases auf Facebook. Beastman Boarserkers are homicidal maniacs who have to be chained and gagged to prevent them from ruining the ambush that is the Beastmen’s normal tactic. At the right time they are unleashed, and charge straight at the enemy like bulls, disregarding wounds, often carrying two weapons so they can kill all the more. The Beastmen will be released this week…. Schön, dass diese Armee jetzt draußen ist! Oh wie geil! Ick freu mir!! !